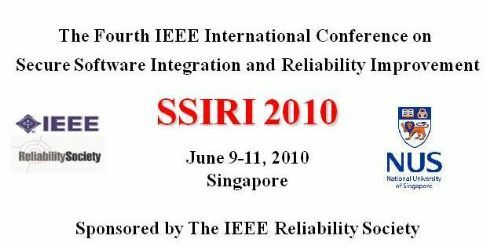 SSIRI 2010 is the fourth annual conference technically co-sponsored by the IEEE Reliability Society with a focus on software security and reliability. It brings together a wide range of researchers and practitioners to present their on-going ideas, experiences, and outcomes of most recent research, and to exchange their best-of-breed practices for developing reliable, secure, and trustworthy software systems in a more effective and efficient way. It not only allows the academic community to gain an increased awareness of the areas that are vital to the software industry, but it also grants practitioners an opportunity to express their needs. 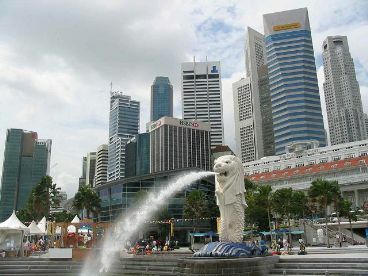 The conference will be held at the National University of Singapore with three major tracks: research papers, fast abstracts and the student doctoral program. Additional workshops with more focused topics will also be held concurrently. The authors of a number of selected papers of special merit will be invited to submit an extended version of their papers for possible publication in a special journal issue. The objective of fast abstracts is to report on-going work, describe practical experiences, introduce new ideas to promote further validation, or state positions on controversial issues. Each fast abstract can have a maximum of two pages using the IEEE conference proceedings format. The objective of the Student Doctoral Program is to encourage students to attend SSIRI and present their work, exchange ideas with researchers and practitioners, and get early feedback on their research efforts. Submit original papers (not published or submitted elsewhere) with a maximum of six pages using the IEEE conference proceedings format. Each submission should include the title of the paper, the name and affiliation of each author, a 150-word abstract, and up to 6 keywords. The first author must be a student (the advisor or non-student collaborators may be co-authors). Once accepted the paper should be presented by a student. Submit original papers (not published or submitted elsewhere) with a maximum of eight pages. Include the title of the paper, the name and affiliation of each author, a 150-word abstract, and up to 6 keywords. The format of your submission must follow the IEEE conference proceedings format. Workshops help provide a platform where novel ideas and state-of-practice can be presented in a way that is less formal and more focused than in the conference itself. Each workshop proposal with a maximum of three pages should include the title of the workshop, the name and affiliation of each organizer, and a description (theme, expected achievements, duration (half day or full day), format (e.g., paper presentation, panel, and invited speech), target audience, potential program committee members, plans for publicity, paper solicitation, review and selection). Panel sessions will be held in parallel with paper sessions and tutorials. A panel proposal should include organizer's contact information, the title, a 150-word scope statement, and a list of panelists with their affiliations. Click here for the complete list of organizers and program committee. The conference will be held at School of Compting, National University of Singapore..
By Taxi: approximately 25 minutes, costing SGD 25. By MRT (Metro-equivalent): There is an MRT station at the airport. Get off at Bouna Vista station. Cross the skybridge and take bus 95 to National University of Singapore. Approximately 1 hour, costing SGD 3.5.